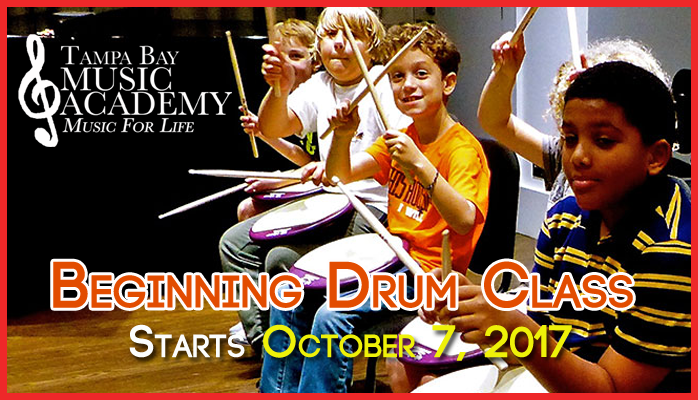 The 2017 Fall Beginning Drum Group Class starts Saturday, October 7. It will meet for 55 minutes, once each week, on eight consecutive Saturdays at 12:00 PM. Please contact us to sign up or to inquire about more information. *No instrument required. TBMA will provide all necessary equipment and materials for class.